Archived writings on various and sundry topics; not a "blog" per se in that it is not updated regularly. This isn't designed to be a blog per se, but just a place to store things I've written for easy reference. Most of it will be book reviews, with a few random essays about the stuff that interests me outside work (i.e. nothing on politics and government). 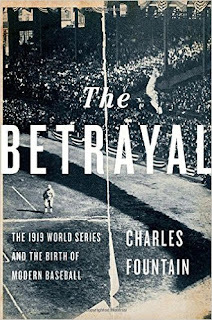 Northeastern University professor Charles Fountain’s The Betrayal: The 1919 World Series and the Birth of Modern Baseball retells the story of the 1919 World Series “fix” and explains its ramifications for the game’s development. He relates the known facts, helpfully clarifying between which is known, which is speculated and even that which is “known” but not really true largely thanks to previous accounts that are as much fiction as fact. The result is a more accurate account and deeper understanding of how and why the scandal unfolded as it did. To do this, Fountain takes us back to the 19th century so we can appreciate baseball’s complicated relationship with gambling (and to some extent game fixing). For “behind the Black Sox story,” he writes, “stretches a long history of organized dysfunction and incorporated hypocrisy.” Only after a period of toleration did baseball’s powers that be come to recognize that fixed games alienated spectators and threatened owners’ financial interests. Efforts to clean the game of dirty players were largely successful by the 1880s. But the events of 1903 would undo this progress, recreating an environment conducive to gambling and fixing. 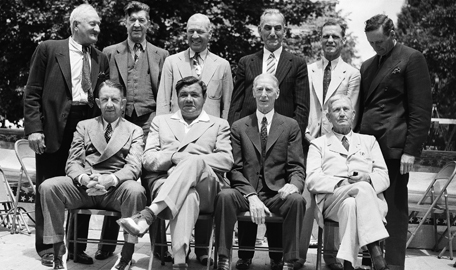 For it was in this year, Fountain explains, peace was achieved between the warring National League and the upstart American League. With peace came an end to competition for players and the higher salaries that went with it. Instead, the reserve clause and their depressed salaries would rule. In addition, a new owner dominated governing structure would be created and it promptly failed its first test in dealing with allegations of game fixing, choosing to look the other way instead. In the early 20th century, players’ gambling on the outcome of games was not seen as problematic. It was even encouraged to show confidence, perhaps like a CEO who takes a large share of their pay as stock options rather than cash. But so long as there was gambling, there would always be losers seeking to shift the blame. Allegations of a “fix” would follow each World Series, and when similar allegations surfaced in 1919 even before play began they were not illogically dismissed out of hand. 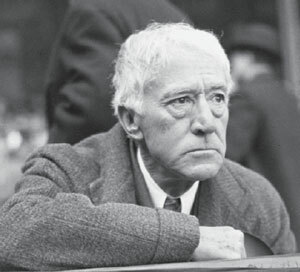 Fountain spends considerable time on the politics of baseball management, focusing on the rivalry between White Sox owner Charles Comiskey and AL President and de facto baseball CEO Ban Johnson. By 1919 the two were locked in blood feud, and each would try to use the fixed series as a tool to gain the upper hand. The result would be a new Commissioner with dictatorial powers. And Commissioner Mountain Kennesaw Landis would react much differently when the 1919 fix became common knowledge than the National Commission had in 1903. Colorful profiles help keep the readers’ interest. Besides Comiskey and Johnson, Arnold Rothstein (the gambler who would remain at an elusive center of the fix), “Shoeless” Joe Jackson, Judge Landis and Hal Chase are profiled at length. Although one of the “Black Sox,” as guilty players were tagged, Jackson’s actual role was also very small (he admitted taking money on the understanding he was supposed to be throwing games, but there is no evidence that he did so) but Fountain goes on at considerable length about his life and legacy. may not have kept up his end. There are some flaws with Fountain’s account. Many threads, such as the profile of Chase and the relationship between Comiskey and Johnson just to cite two examples, are much longer than necessary to explicate the book’s central story. As a result the reader frequently finds herself in an alleyway of baseball history, often very interesting but also largely beside the point. Fountain also makes several rather egregious errors when it comes to discussing Jackson and the Hall of Fame. For instance he writes that it was Commissioner Bart Giamatti who proclaimed that no one on baseball’s eligible list was eligible for election to the Hall of Fame. In fact, it was an ex post facto rule change in 1991 by the Hall’s governing board in reaction to the Pete Rose case. 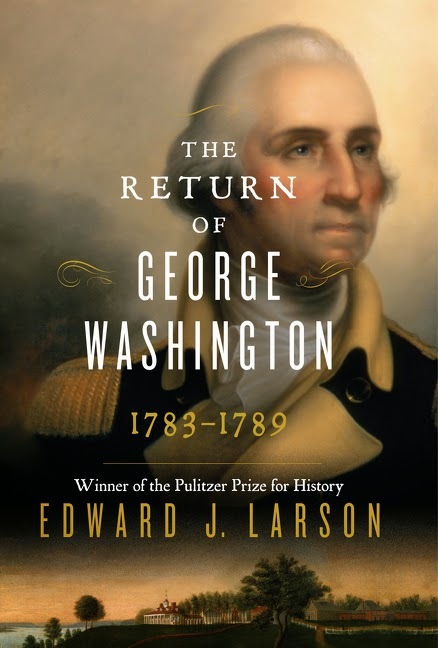 Fountain also asserts that writers never had the chance to elect Jackson to the Hall. In fact, Jackson was on the 1936 and 1946 ballots, but received only two votes each time. 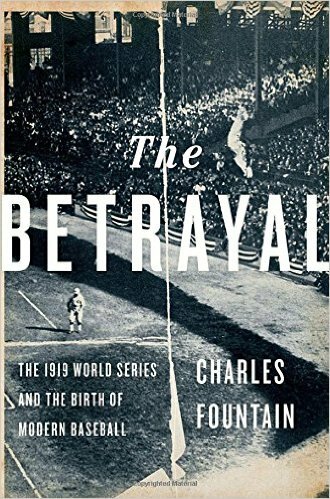 1919: The Great Betrayal contains a great deal of very interesting history about different aspects of the baseball’s early period and brings many of its characters to life even if it is not all strictly related to the 1919 World Series fix. The story is not really complete, however. Nothing about Babe Ruth, the livelier baseball or the phenomenon of the home run” that began to appear in 1920 and would change the game dramatically appears in Fountain’s account, all of which are necessary to understand the “modern” (or post dead ball) game. But fans of baseball history will find much to enjoy, ponder and argue with in Fountain’s retelling. like a czar for over two decades. 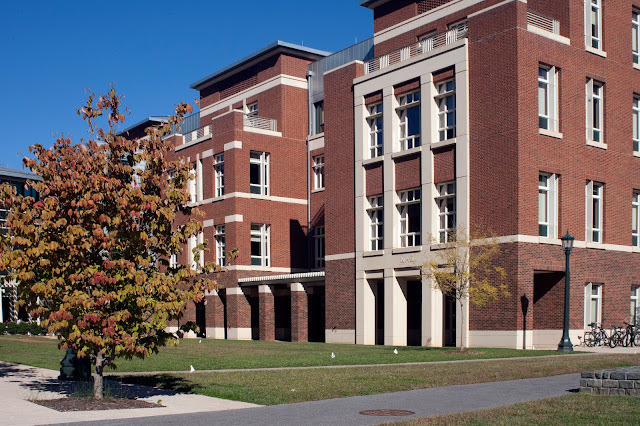 The School of Public and International Affairs is one of two buildings on campus named for Woodrow Wilson, whose "Princeton in the Nation's Service" speech recalled its previous greatness and helped set the stage for its renaissance. Ever since Princeton President Christopher Eisgruber agreed to reconsider "how the University recognizes [President Woodrow] Wilson's legacy" in response to a student protest that had occupied his office, magazines, newspapers and the Internet have been flooded with thoughtful debate over the answer. Most prominently at stake is the eponymous Woodrow Wilson School of Public and International Affairs. I'm not a Princeton graduate and I think it's mostly a question for the Princeton community to decide for itself. But, as a supporter of historic preservation who studies American history as a long standing hobby, it's hard not to think about such matters, especially given that the debate about how to judge our forebears is not limited to the Princeton campus. Every generation takes a fresh look at past ones, so its useful to consider Wilson's case in a broader context. * He was born in Virginia in 1856, five years before the Civil War. The war itself, fought between 1861 and 1865 (and much of it in Virginia) would have been something very real to Wilson. * Wilson taught Constitutional Law (despite not being a lawyer) at New York Law School and government at Princeton before becoming Princeton's President in 1902. * Wilson had delivered a famous speech lambasting Princeton for its failure to achieve its full potential. Later, as the University's President, he would go on to radically reform the school, fighting entrenched interests to put it on the path to the academically elite institution it is today. * He was elected governor of New Jersey in 1910, where he again took on entrenched and corrupt bosses. * He became President in 1912, served two terms in office, and personally attended the Paris Peace Conference that ended World War One, which established the League of Nations. Largely due to his intransigence, however, the US would not join the League. * As President he purged African Americans from the federal government and re-segregated its departments. As President of Princeton also maintained Princeton as a "whites only" institution. History is complicated. Great men sometimes do very bad things as well. Getting rid of Wilson will encourage us to avoid such ambiguity (the American Interest) to the detriment of the educational experience. On a similar note, all great leaders have some terrible flaws so there wouldn't be anyone left to honor if we remove Wilson and apply that precedent to others (Princeton history professor Julian Zelizer). Or that Wilson's accomplishments are so significant that they outweigh the bad, which has itself been overblown (Liberal Oasis's Bill Scher; NYU's Jonathan Zimmerman). With regards to his horrible record on race relations, he was a product of his time and place (see above) for which we as 21st century Americans should be at least somewhat understanding (Star Ledger). his record on race is so awful it overwhelms all else and that as times change so do our values allowing us to reappraise who we wish to honor (New York Times). His Presidential actions were do detrimental that he shouldn't be honored anyway, and the racial issues just make it worse (the Federalist). 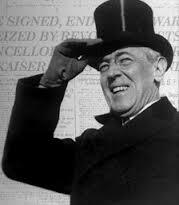 100 years after his presidency, Woodrow Wilson is back in the news. Some of the defenses of Wilson resonate with me. Love him or hate him, there's no doubt that he was one of our most significant presidents. The Federal Reserve owes its existence to him. He led us during World War One. Even his failure to obtain entry for the US into the League of Nations had hugely important consequences. His views on government and the Constitution may be pernicious to some, but they still drive much of the contemporary debate. Finally, I agree with those who believe that people should be judged in the context of their own time and place rather than contemporary standards. However, I don't buy the "getting rid of Wilson would hurt history" argument. 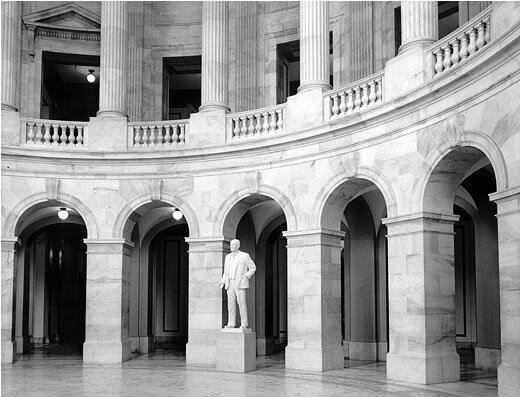 We don't name buildings to promote debate and understanding, but to honor the person named. No one would forget Wilson if his name was removed. 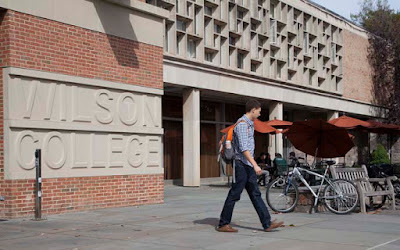 So long as Wilson's name is on the Princeton campus there is at least some ongoing honor bestowed upon him. I don't think it's possible for Wilson defenders to hang one's hat on the "protection of history" argument. On the other hand, what I have yet to see is a defense of Wilson centered around the situs of the monuments to him, which I think is highly relevant to this debate, which is about honoring Wilson at Princeton as opposed to honoring him generically. As a former Senate staffer who once worked in a building named for Senator Richard Russell I recall an effort to remove Russell's name from that building. I instinctively thought it was a bad idea. Russell, who represented Georgia in the US Senate from 1933 to 1971, opposed Civil Rights laws and was a firm supporter of his state's segregationist system, one which I despised. Yet one had to consider that no Senator from Georgia could have possibly done otherwise (unlike Wilson's purge of African-Americans from the federal government, which followed great progress by his predecessors) and his career in the Senate was in many ways a magnificent one. While I wouldn't go naming anything else in Washington, DC after him, I felt strongly that Russell's name should remain on the Senate office building where his colleagues had placed it. Similarly, Wilson belongs at Princeton, but perhaps only at Princeton. * He was not only a distinguished professor of government, but as President fought hard to alter it from being a school for lazy kids of privilege to what has indisputably become one of America's elite educational institutions, modeled after Oxford and Cambridge. 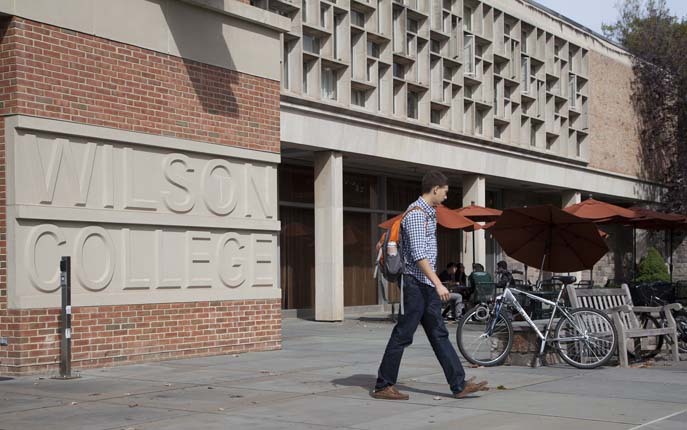 If many of the students who protested in President Eisgruber's office would not have been allowed into Princeton in Wilson's day, none of them would likely have even wanted to be at Princeton had it not been for Wilson. For that, I don't blame the Princeton community for honoring him in the manner it does today. *Interestingly, no one so far as I can tell has brought up the Wilson Center in Washington DC, the Smithsonian think tank named for the nation's only PhD President, for criticism. together outside the college's traditional "eating clubs," which Wilson disliked. Several years ago, I realized that I had lost my passion for college football. It was not a sudden process. 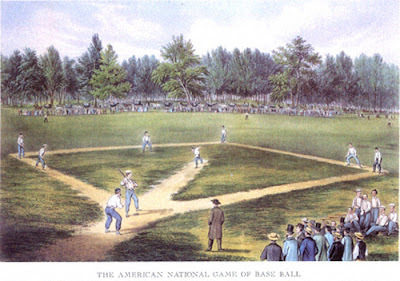 The arrival of baseball in Washington D.C. in 2005 and the explosion of new information via the saber-metrics revolution consumed most of my sports bandwidth as I sought to reacquaint myself with the sport of my youth. In the wake of NCAA's miserable handling of the Penn State affair, I decided I was pretty much done with college football except at a very casual level. In the past year or so, though, several things have happened to bring me back around. First, the NCAA largely reversed its position on Penn State, restoring to it 112 wins that had been vacated. For reasons I explained earlier, I find the vacating of wins to be an unacceptable means of enforcing rules. Perhaps it's the history buff in me, but I'm not good at pretending what happened didn't happen and I don't want to invest my time in a sport where the game is never really over. The other major development was the return of 49ers head coach and former University of Michigan quarterback Jim Harbaugh to coach at Michigan, one of my two alma maters. For those unfamiliar with Michigan football it's hard to fathom the depths of exactly precisely how big of a phenomenon this was. Among other things, the story of how Harbaugh returned to Michigan engendered a new book before he had coached a single game there. hadcoached a single game at Michigan. The story begins in 2007 when tiny Appalachian State shocked the collegiate football world by coming into Michigan Stadium and knocking off the Wolverines. The following week saw Oregon humiliate Michigan 39-7. Although the "Maize and Blue" would win nine of its last 11 games to finish 9-4 with a Citrus Bowl victory, coach Lloyd Carr was done. West Virginia head coach Richard Rodriguez was brought in to coach in 2008. But under "RichRod" and successor Brady Hoke, Michigan football would average less than seven wins a season from 2008-2014. 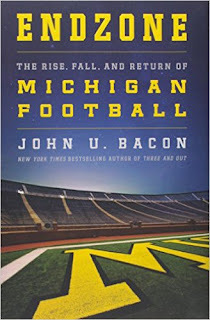 The results on the football field, however, were only the manifestation of years of decline, according to John Bacon's Endzone: The Rise, Fall and Return of Michigan Football. Bacon, author of numerous books on the Michigan football program and now its leading scribe, describes how and why Michigan Football declined, what it meant to the University and those who are part of it, and finally how it "returned." 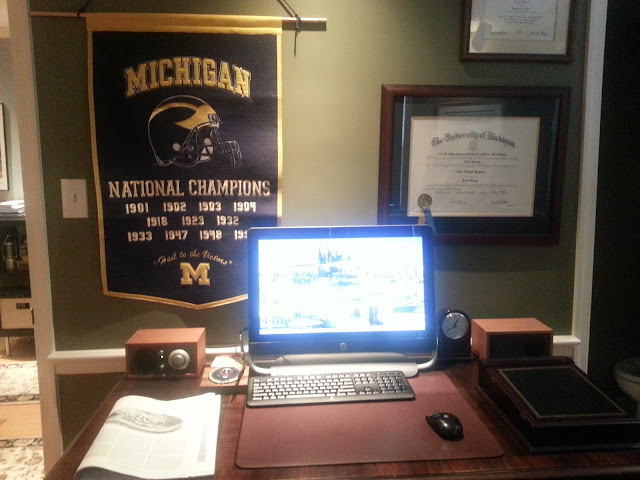 To do this, Bacon takes his reader back to the founding of the Michigan athletics program in the late 19th century and provides a guided tour through its highlights. It was out of this history that Michigan's traditions emerged, none more important than the enigmatic concept of the "Michigan Man." The Michigan Man (or as Bacon acknowledges Michigan Woman as well these days) is someone who values community, putting the needs of the University of Michigan before their own. Excellence at Michigan is a given. But it must be coupled with a strong ethical core as well. Cutting corners is unacceptable. Excellence, ethics and community are at the heart of the concept of the "Michigan Man/Woman" to Bacon. 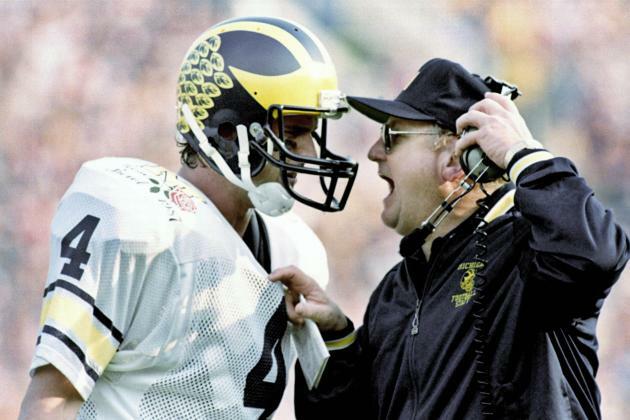 After the retirement of revered coach Glenn "Bo" Schembechler, the University's leaders largely lost touch with these values. By 2014, the entire Michigan community had come to realize this. As Bacon astutely notes, when students marched over to President Mary Sue Coleman's House, they did not demand the firing of the head coach (as they would have had they simply been concerned about wins and losses). 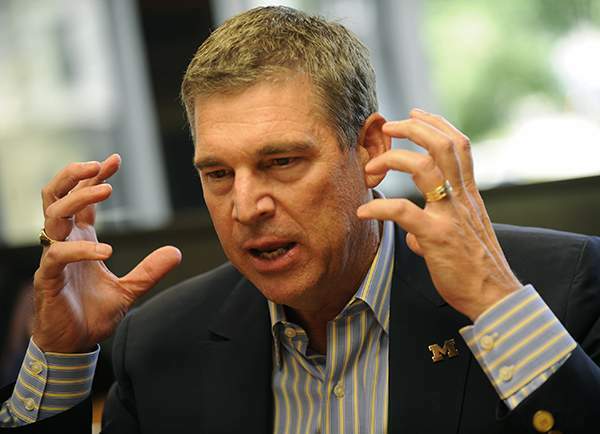 It was the Athletic Director, Dave Brandon, they were after, and most of Endzone is concerned with his tenure as A.D. and its legacy. Although just a bench warmer, Brandon himself had played football at Michigan under Schembechler. He became in his own words an "All American" at business however, amassing a multi-million dollar fortune as CEO of Domino's Pizza, and served on the University's governing body. On paper he appeared to be a "Michigan Man" par excellence. Bacon documents carefully, though, that Brandon had not learned what the concept truly encompassed. Stories abound of how Brandon put himself about the community and ran the Athletic Department like a business, forgetting as Bacon notes that college football is more akin to religion than business despite the big bucks involved at the highest levels. Through numerous missteps, Brandon antagonized and alienated virtually all of his constituencies. Long time employees were let go. Former Michigan athletes alienated by the failure to extend trivial, customary courtesies. Students were forced to pay greatly inflated prices for games featuring lower and lower quality opponents and suffered under Brandon's policy of seating students by general admission leaving it nearly impossible to enjoy games with friends. As demand for tickets dropped, the department began to virtually give away seats, diminishing their value and hurting loyal long term season ticket holders. As a result of these missteps, when Michigan began losing games Brandon found himself without a lot of friends willing to stand by him. Many of his mistakes seem to have been driven by Brandon's maniacal pursuit of the "Director's Cup," awarded to the collegiate athletic director for overall athletic performance. Millions were spent in pursuit of excellence in relatively obscure sports to the detriment of those with greater interest among the alumni and fan base whose support was vital to keep up with Brandon's growing levels of spending. It was as if Brandon was trying to make up for not being an All-American football player at Michigan by being an All-American Athletic Director. reputation at the expense of the greater Michigan community. In 2011 Brandon's insecurity with his legacy would lead to his biggest failure of all. After deciding to let Rodriguez go, Brandon bungled the pursuit of Jim Harbaugh, who many felt should have been hired as Michigan's next head coach. But Brandon set difficult conditions, in effect telling Harbaugh that Brandon would be the face of Michigan. In Harbaugh's words, the negotiations left him "not feeling the love." The man who had put first San Diego State and then Stanford Football on the map would choose the NFL instead, guiding his team to the NFC Championship in his first year as a pro coach and the Super Bowl the next. Michigan meanwhile would endure a four year slide under Brady Hoke, culminating in a 5-7 season. By late 2014, however, things had changed. Brandon was out, seemingly as the result of a P.R. miscue involving an injured Michigan player he failed to contain. Another A.D. would likely have survived, but Brandon had burned through all of his good will. On the other side was a determined, fired up group of students, regents and alumni more than ready to show him the door, With Brandon gone, Harbaugh was back in play. This time, there would be no miscues. Every possible button was pushed to recruit him and his wife by letting them know how badly they were wanted in Ann Arbor. It's telling that Bacon's declared that Michigan football had "returned" occurred before playing a single down under Harbaugh. Michigan football isn't about wins, but doing things a certain way, the "Michigan way" with the belief that the wins will eventually follow. Bringing in a coach who understood this and embodied the school's values was all that was needed to constitute "return." For anyone who wishes to understand this episode in collegiate athletics, Endzone is really "must reading." It eschews simple explanations, delving deeply into Bacon's seemingly endless reservoir of Michigan history to produce a compelling and highly thoughtful analysis. Even those with no connection to the University will be fascinated with the story of how a great institution loses it way and what it must do to restore itself by remaining true to its values. As such it would make a great case study for business school. Finally, Bacon's loving portrayal of Michigan is so compelling that any high school student who reads it will likely make it a first choice. 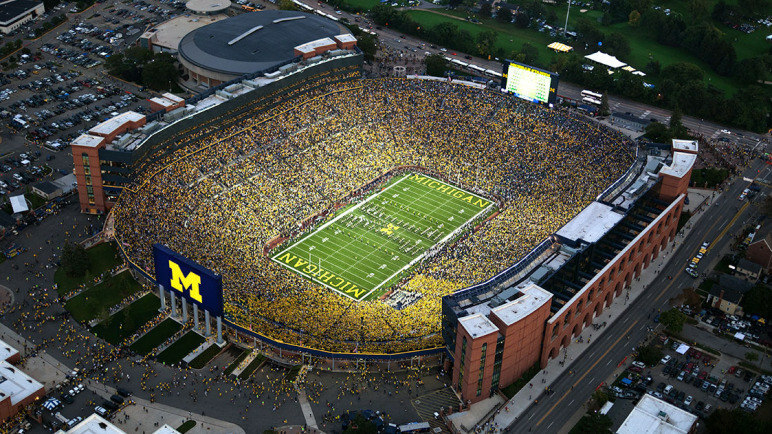 Things are looking bright at the "Big House" these days. My review of Steinberg and Spatz's The Colonel and Hug: The Partnership that Transformed the New York Yankees can be found here. Several months ago I went "back to school" (virtually speaking) to study something I actually WANTED to learn. My portal is the website Coursera, which is a consortium of universities offering free online courses in a wide variety of topics (the acronym fashionable among academics for this phenomenon is MOOC (massive open online course) pronounced "MOOK"). Now that I'm at the half way mark through the 14 week class, I thought it would be useful to record my thoughts and impressions. The course I'm taking is offered by the University of Virginia (UVA) and titled The Modern World: Global History Since 1760. Taught by Philip Zelikow, White Miller Burkett Professor of History, the course is being taught simultaneously on the UVA campus (see here for a news clip about the course). For his online students, Professor Zelikow delivers roughly seven tutorials per week in the form of videos recorded in his office that last between six and 35 minutes. At the end of each week there is an online quiz. There are also electronic bulletin boards for students to open discussion threads in which Zelikow and his teaching assistant will occasionally comment. The weekly quizzes are multiple choice and there are no exams or papers. This is certainly understandable given the work that would be involved to read essays and papers (about 40,000 students around the world have registered; it would be interesting to know how many stick it through all 14 weeks). All that is really tested, then, is the student's aggregation of knowledge, with no real evaluation of understanding (which would involve essay questions) nor the ability to apply what is actually learned (which would involve writing papers). UVA does not offer credit for completion of the course, although students receive a certificate upon its successful completion. Different schools have a different approach to MOOCs, even those under the same umbrella. For instance, this course runs the same period as the "live" version and is about as good a virtual reproduction as can be afforded to the university with minimal cost. Other courses offered by Coursera last as few as six weeks, and seem more like advertisements for their extension school courses. One course (not through Coursera) is actually a barely disguised vehicle for selling a book the school publishes. So far, I don't see MOOCs as being quite as revolutionary as some hope (or fear). They are better oriented towards more technical, quantitative material. The only interaction with other students occurs through bulletin boards (Coursera does provide some networking for local meetups but this seems little used) without the give and take of a live class. Absent a serious commitment by universities to hire many more TAs, there seems to be a limit on the quality of learning that a MOOC can provide as mentioned above. If a university were to hire the quantity of graders needed, student fees would likely be involved, and that would probably curtail participation dramatically, especially for international students. For those seeking such an option, there are already extension schools even at big name universities. At the end of the day, what such courses might do is force universities, many of whom are convening committees to study the challenges posed by MOOCs, to reexamine the classroom and academic environment they are providing their own students. In many cases, e.g., intro to accounting, I'm guessing they're really offering in-person MOOCs with massive student packed halls, materials taught mostly by TAs, and grading by problem set. It's these sorts of experiences that are most easily replicated by MOOCs and therefore most threatened by them. The small history seminars and English lit. classes, not so much. If competition from MOOCs force universities into bringing back quality, interactive learning as opposed to one way lecturing, they will have contributed significantly to higher education. What really needs to happen in education is that employers, students and parents need to start focusing on education rather than credentialing. There is significant evidence that higher education teaches too little and costs too much, but so long as the premium is placed on the paper (and the institutional name on the paper) rather than demonstrated learning, this situation won't get any better. Tomorrow the Baseball Hall of Fame announces its newest members. This year’s ballot is particularly interesting because two of the game’s unambiguously greatest players are on the ballot, but they are also strongly believed to be steroids users. They are Barry Bonds, aka baseball’s all time home run leader, and Roger Clemens, one of the greatest pitchers ever to take the mound (another big name user, Sammy Sosa, is also on the ballot for the first time this year). The debate that began several years ago when Mark McGuire first reached the ballot will reach its apex. One could make at least make a case against McGuire and several other suspected players on non-steroids grounds. Anyone voting against Bonds or Clemens, however, will definitively need to take their stand against ever voting for someone strongly suspected of steroids use. Baseball fans, players and journalists are split on the role steroids use should play in Hall of Fame voting. Understandably, many do not want the Hall to be tainted by those whose inclusion is based on their deliberate use of an illegal and dangerous substance. Still can we imagine a Hall of Fame without Bonds or Clemens? 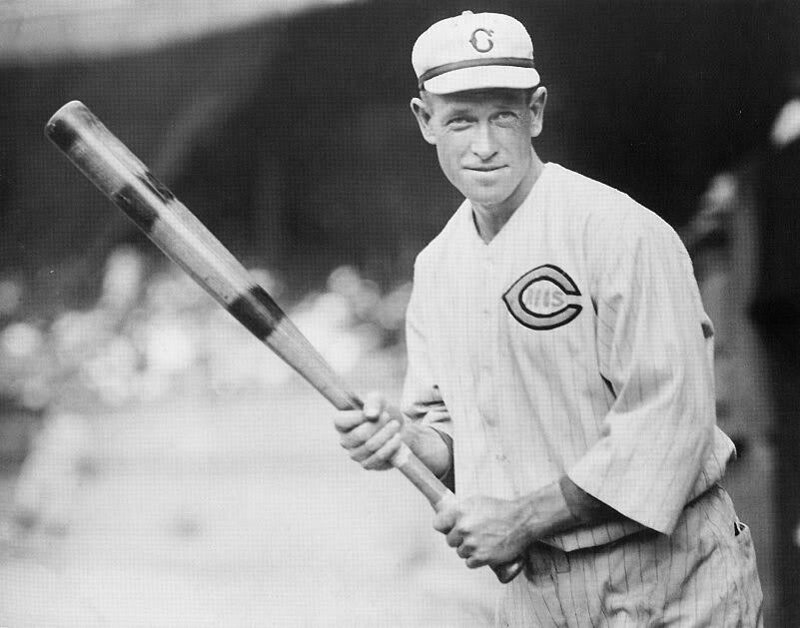 (Perhaps – baseball’s all time leading hits leader is Pete Rose, barred forever for his gambling) Some argue that no one even suspected of steroid use should get in. After all, if we find out they did use after their election, there's no precedent for removal. Better safe than sorry if the Hall is to remain clean. If Mike Piazza, the great Mets and Dodgers catcher, does not make it this year that will be why. It’s the only explanation for last year’s failure of Jeff Bagwell to gain admission. They were just “big guys” during the steroids era. Ruth, Wagner, Johnson et al. Others would just look at the stats and ignore steroid use. Each generation has its own "steroids" or form of cheating whether it's spitballs, amphetamines, etc the logic goes. We don't even fully understand to what degree steroid use even really benefitted the players who use them. They would ignore the issue all together. Some would place a sort of asterisk on their plaques noting that they played during the steroid era (presumable all players from this era, clean or not, would have such a mark) and have some sort of exhibit explaining how steroids affected play during this time period. My own (perhaps over-lawyerly) view: apply a "but for" test. But for the player's steroids use, should he be in the Hall of Fame? I think this is the ideal test on paper, but the hardest to actually administer. After all, what do we really know about a player's use? What do we know about how his use affected his performance? What if we find out later that a player's admitted use in the twilight of an otherwise Hall of Fame career or only brief use during an injury was actually career long? (The A-Rod question). These are difficult questions, and require much investigation and supposition. For me, I'd rather engage in such detective work than simply ignore the issue all together or bar every guy who shot up at only one stage, perhaps well after his Hall of Fame career was established (the Roger Clemens scenario). We'll get plenty of arguments applying such a “but for” test, but hey, isn't that what the Hall of Fame voting is all about anyway? N.B. : This year, I’d like to see Bonds, Clemens, Bagwell, Piazza, Schilling and Trammel make the cut. The last two are more sentimental, but not undeserving. that drew crowds in the 19th century.